I just returned to Amsterdam after a lovely trip to Finland. Besides finishing my yoga teacher training (yay!) I had one clear goal in mind: to eat as much berries as I could. You see, I am a huge fan of berries. Rasberries, bilberries, blackcurrants, strawberries, you name it. Living in the North has luckily some benefits and one the big ones is the abundance of wild berries full of vitamins and antioxidants. So now that I have moved to Amsterdam, I’m really starting to miss my daily berry fix. Of course there are berries here too, but not the same kind that I’ve used to. As I was spending time in Finland, I wanted to enjoy all those really Finnish flavors, such as fresh lingonberries bought from the freezing sellers in the market. 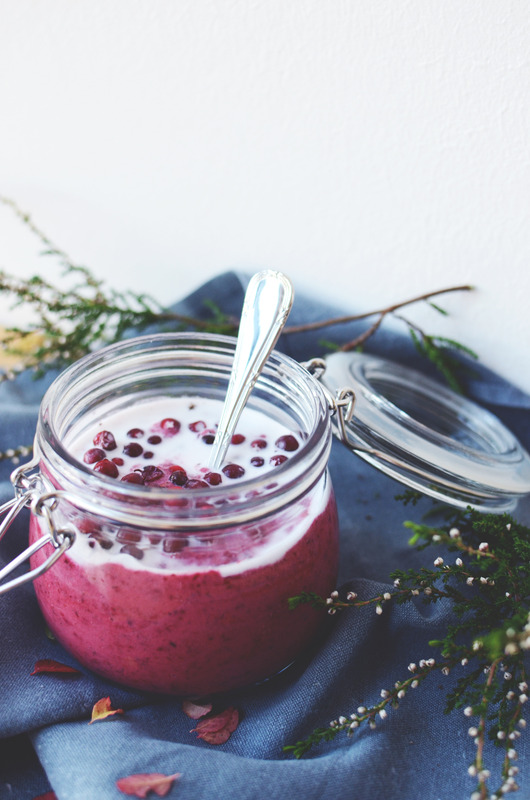 I coupled the lingonberries with some avocado and coconut cream and the end result was this super creamy and fulfilling smoothie kind of treat. It’s perfect as an afternoon snack, but it works also as a fresh dessert. If there are no lingonberries at hand, you can always replace them with other berries. This should definitely be served with a drizzle of coconut cream and maybe also with some flaked almonds or even better, with some lovely crushed dark chocolate. Chop the dates into smaller pieces. Take about 1/4 cup of the coconut milk and set aside. Add all ingredients into a high speed blender and blend until smooth. Taste, and add more honey if desired. 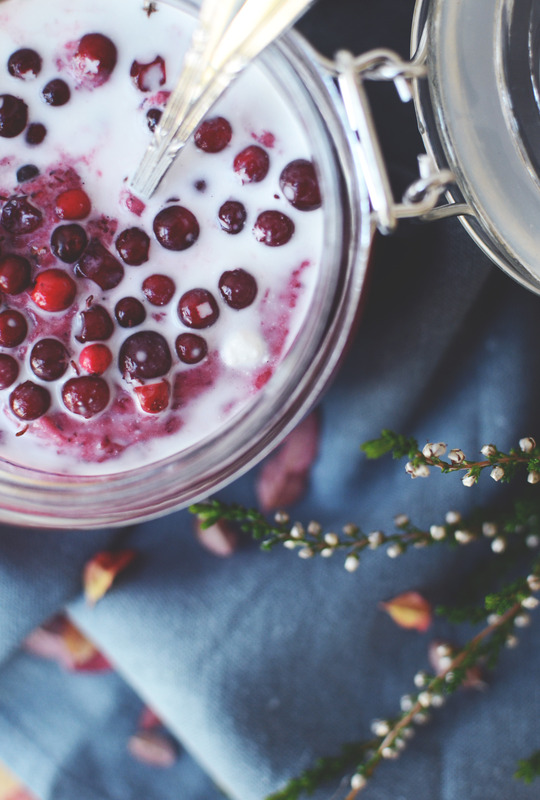 Serve with fresh lingonberries and the rest of the coconut milk, and enjoy! Tagged autumn, berries, dessert, lingonberry, rawfood, smoothies. 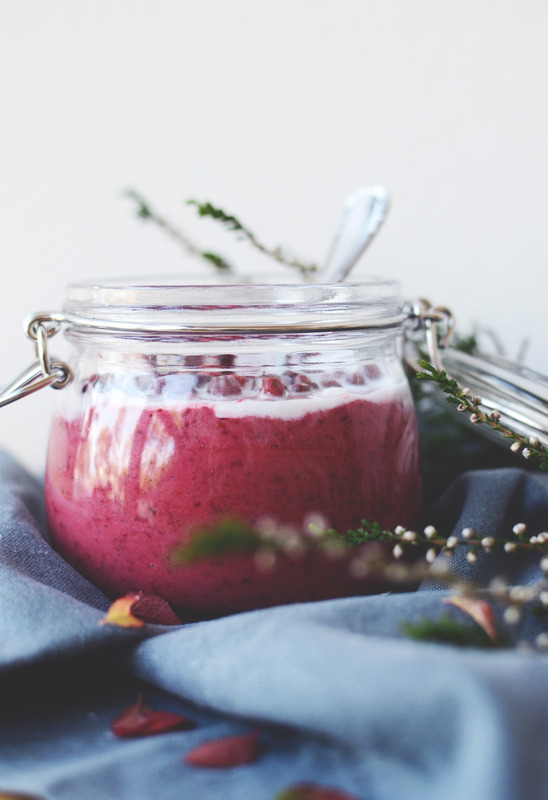 This Vanilla Overnight Oats recipe is super creamy and especially perfect for those mornings when you're in the mood for something easy yet delicious.